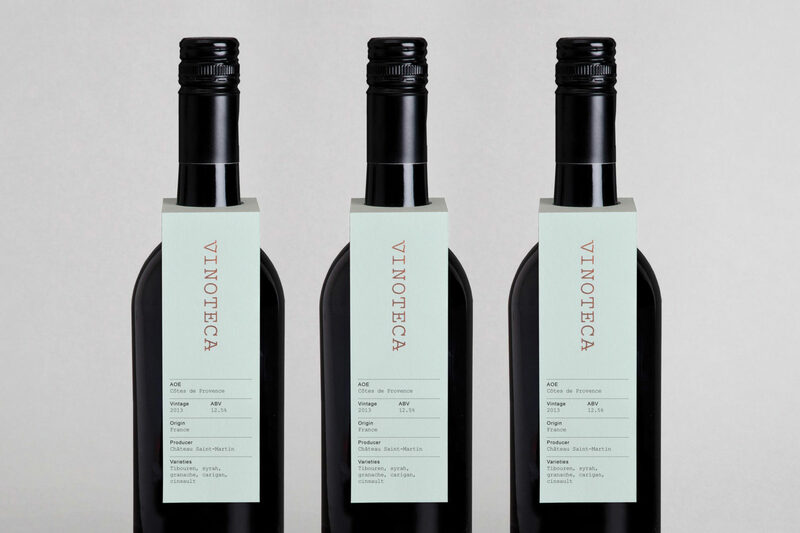 Wine can be a dusty, complicated and elitist world. 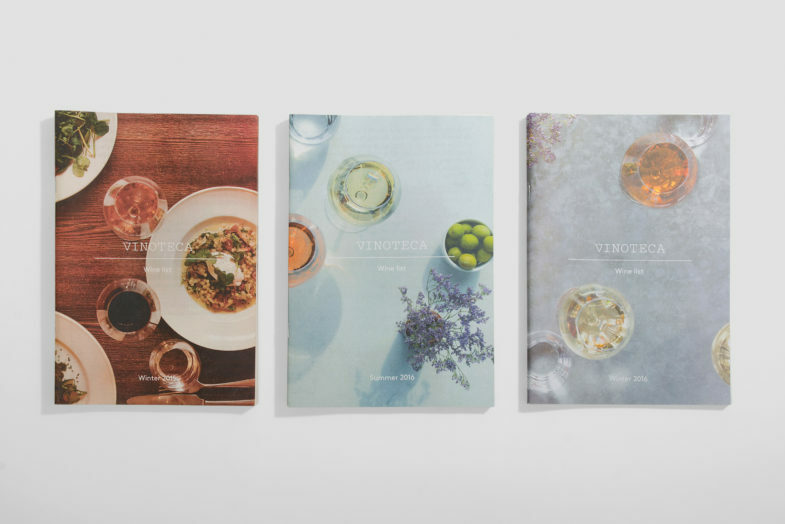 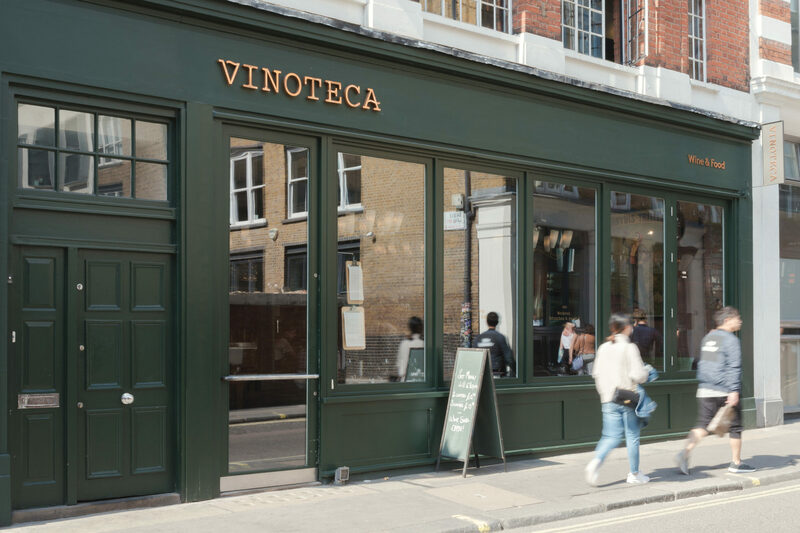 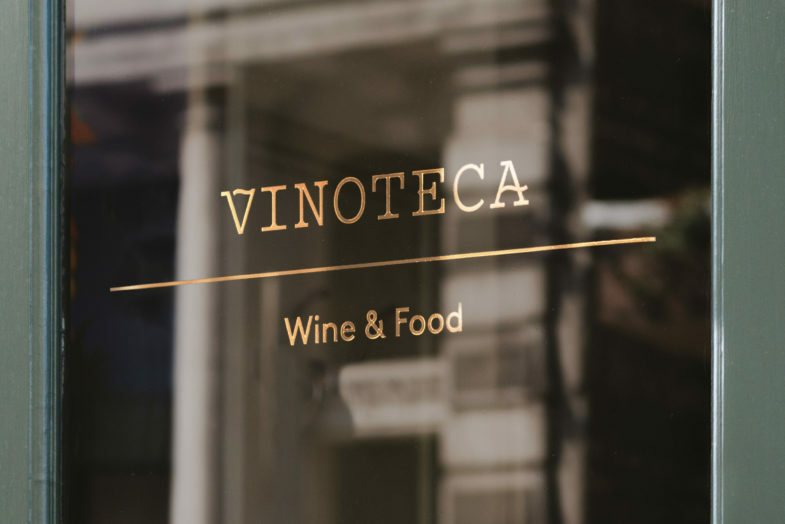 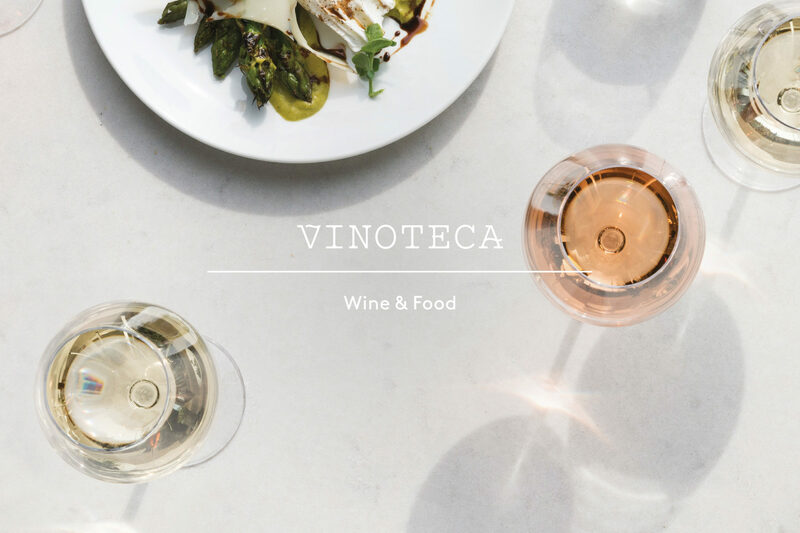 We repositioned Vinoteca — a growing collection of restaurant and wine shops — as the friendly face of wine. 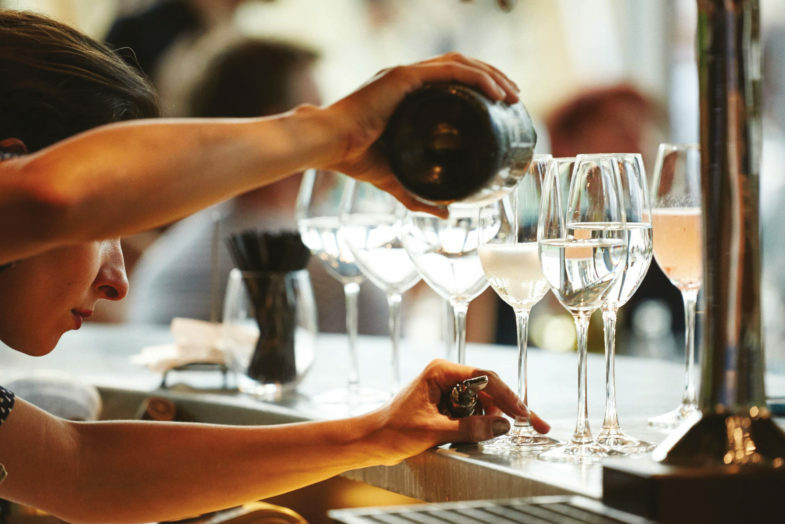 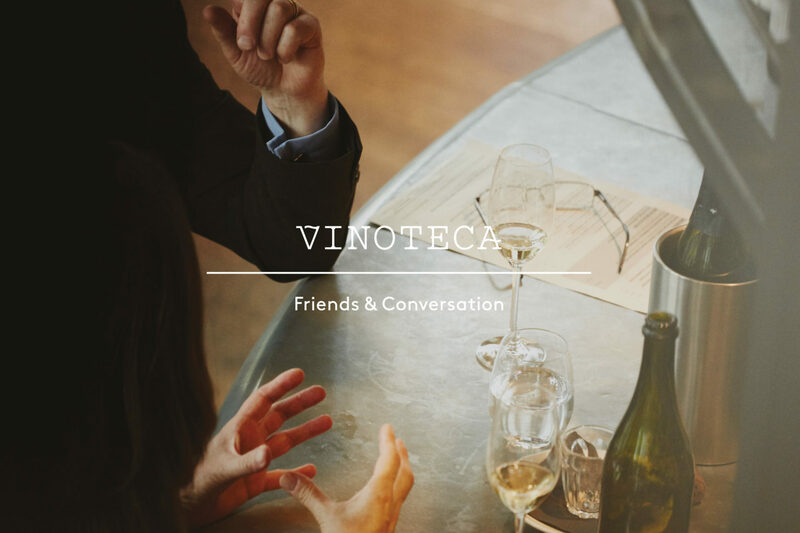 Vinoteca combines wine and food, friends and conversation. 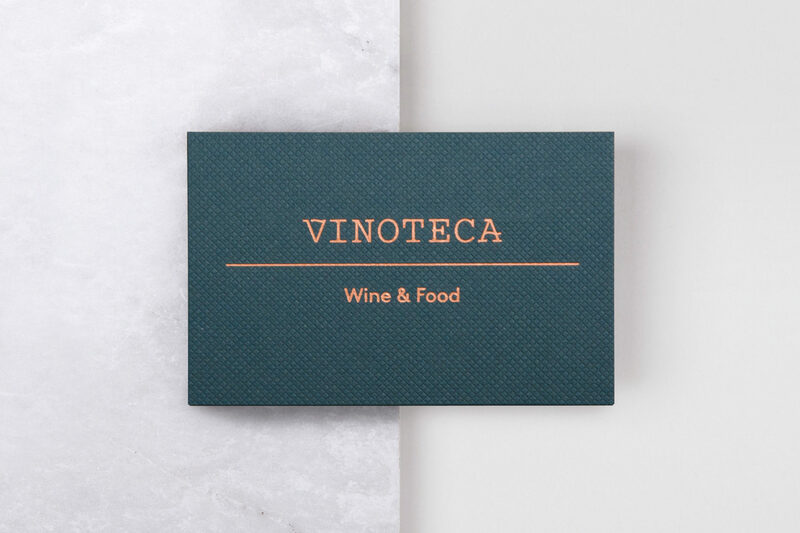 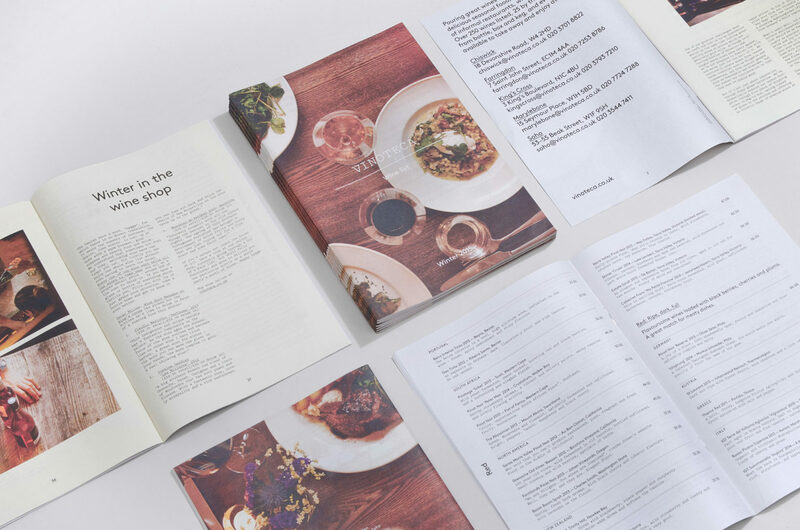 This concept of pairings creates a brand with great character and warmth, from the tactility of daily menus and informal photography, to our fresh take on an e-commerce site, and a wine list that looks, feels, and reads like a newspaper. 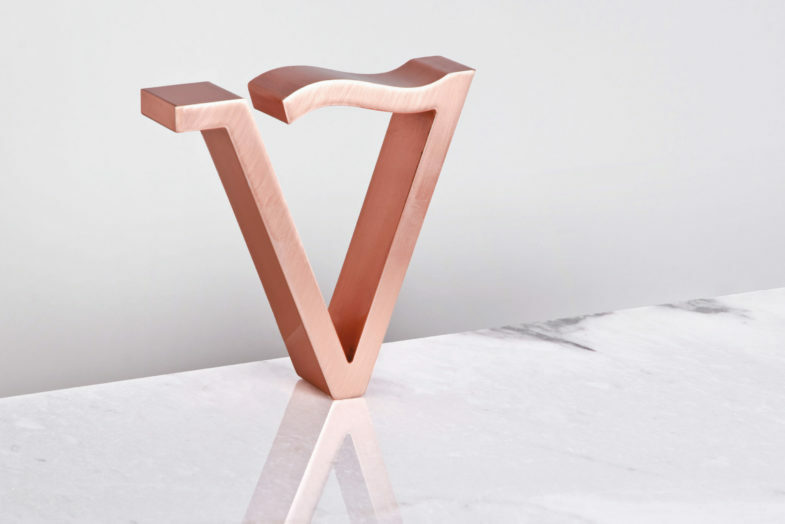 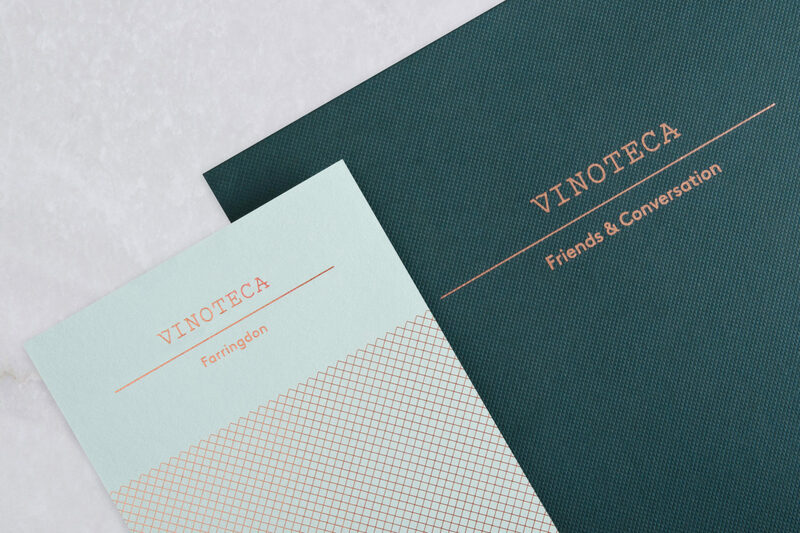 The typography was inspired by wrought-iron vineyard signage, while the use of copper updates the original palette. 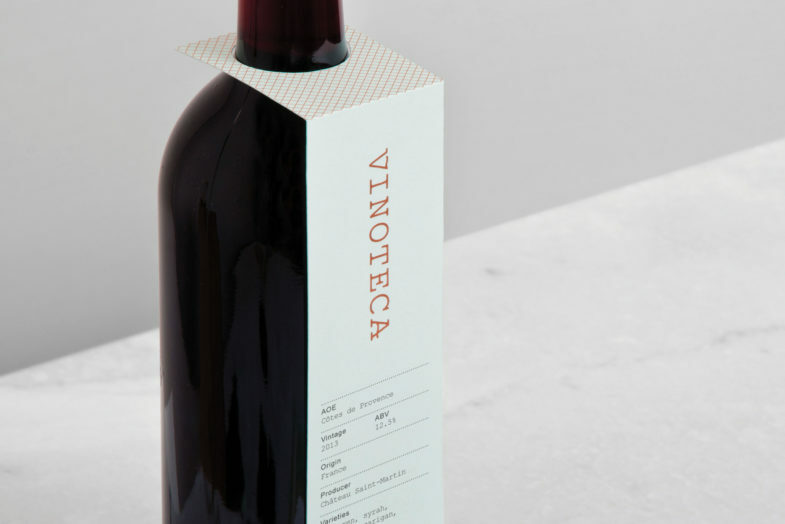 We designed a flexible solution for presenting house wine, harmonised with tactile papers and neutral earth tones. 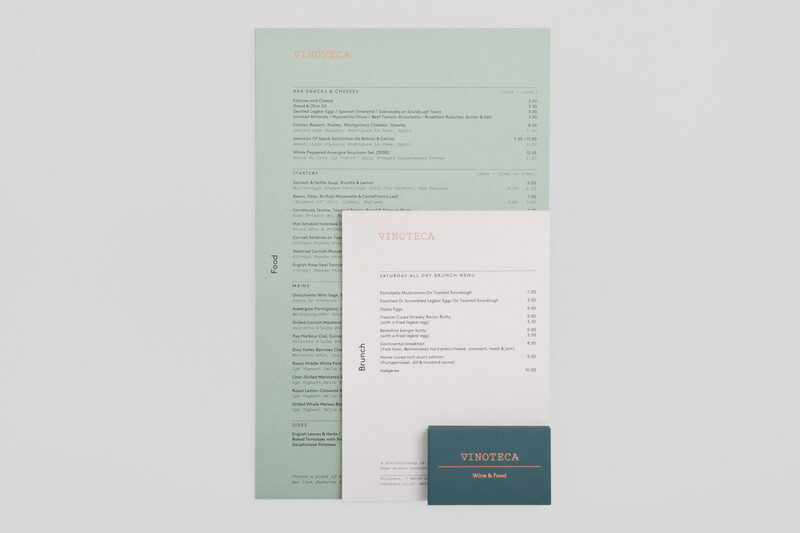 A bespoke digital template allows each restaurant to produce their own daily menus with ease. 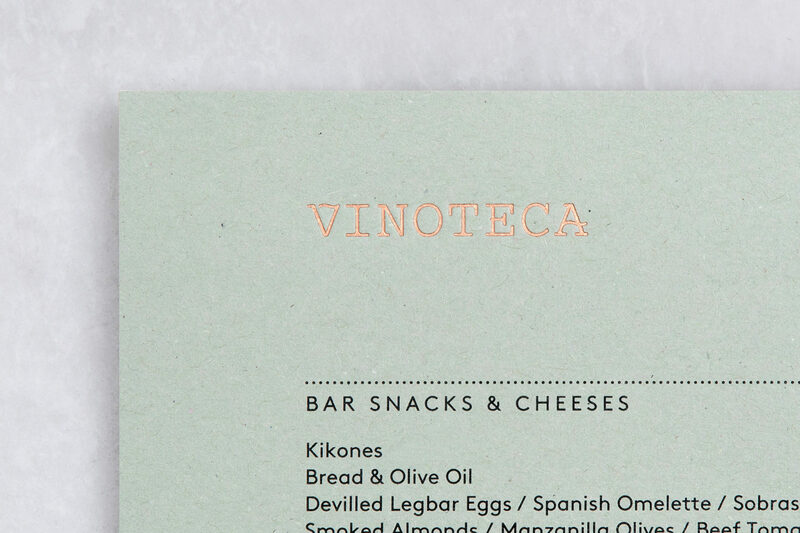 The unpretentious wine list with an editorial twist is the perfect expression of the accessible Vinoteca brand.